Award winning professional gutter replacement and gutter repair services in Northern Virginia and Southern Maryland. 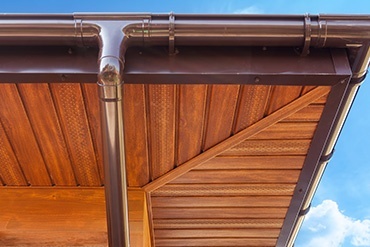 Are your gutters leaking, sagging, rusting, damaged, falling down or in need of debris relief? When a gutter system suffers from disrepair, such as detached joints, rust, sagging and leaks, gutter replacement or repair is the best option for Northern Virginia and Southern Maryland homeowners that want to protect their home and property from water damage. Gutter Replacement or Gutter Repair? 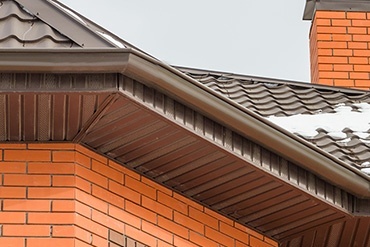 The question of whether to replace or repair a gutter system is a common question among homeowners, which requires considering the pros and cons in each individual situation. Consulting with a reputable and professional roofing contractor is an excellent tool to utilize in order to fully understand all options and potential outcomes. Contact Exterior Medics for a free in-home consultation, and we’ll help you arrive to the best decisions for your particular needs and home-improvement project. Gutter systems undergo a tremendous amount of stress during the course of one year of rainfall and snow and ice melt. One inch of rain can amount to nearly 2,000 gallons of water gushing off the eaves. 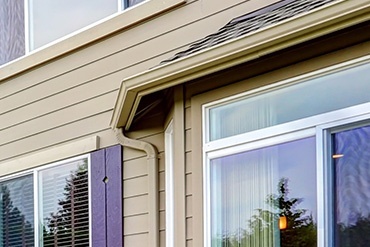 Exterior Medics offers a slew of gutter replacement options that help protect a valuable asset – your home. All gutter systems need maintenance. 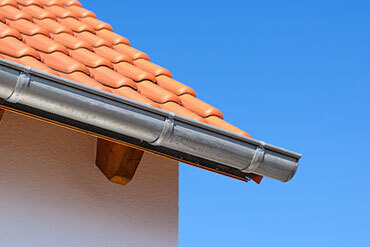 The type and frequency of maintenance depends on the materials from which the gutters are made. 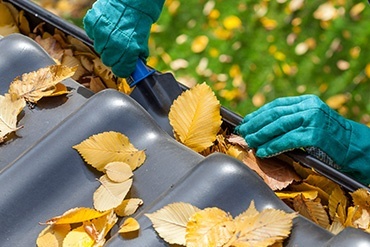 One constant remains true; a gutter system that is ill-kempt, sooner or later, develops one or more of the issues such as; leaks, sagging, rust, dents, disjointed (falling down), or clogged.